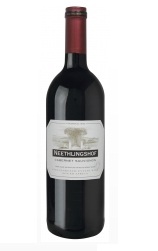 Today’s featured wine is the Neethlingshof Cabenet Sauvignon 2003. Dark ruby. Nose – Aromas of cherries, blackberry with a hint of oak spices. Palate – Full-bodied with cherries and blackberries on entry and a tannic backbone. Van Ryn’s 12-Year-Old Distillers Reserve has warm golden hues that announce a generous nose of fruit and vanilla. A soft velvety palate of dried fruit and coffee ends on a lingering note. This Brandy has won numerous awards, including World Wide Best Brandy – International Spirits Challenge 2009, Gold and Best in Class – International Wine and Spirit Competition 2010, and on the 8th of October this year it was awarded a Double Gold Medal at Veritas. Prepare for a sensory feast of taste, colour and flavour at Die Bergkelder, with delicious wine, food and salt pairings during the Summer in Stellenbosch Valley weekend taking place from 16 to 18 December 2011. With unique savoury parings including Fleur du Cap Unfiltered Viognier paired with golden cheese straws and Khoisan flaked salt, Fleur du Cap Unfiltered Chardonnay paired with Olives and Fleur du Cap Unfiltered Sauvignon Blanc paired with Popcorn and Pakistani volcanic salt, you are in for an explosive taste sensation. On the sweeter side, you’ll be treated with Fleur du Cap Noble Late Harvest paired with chocolate tart and French Grey Sea salt. Cut deep into the slopes of the Papegaaiberg, Die Bergkelder, the home of Fleur du Cap wines, offers one of the finest wine experiences in Stellenbosch. The tranquility of the vaulted spaces of this bottle maturation cellar founded in 1968, offers the perfect atmosphere for these unique tastings. 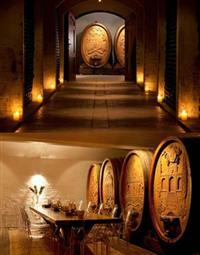 The tastings start at 13h00 daily on the on 16, 17 and 18 December and cost R50 per person. Places are limited so booking is essential. Call Melanie on +27 (0)21 809 8025.